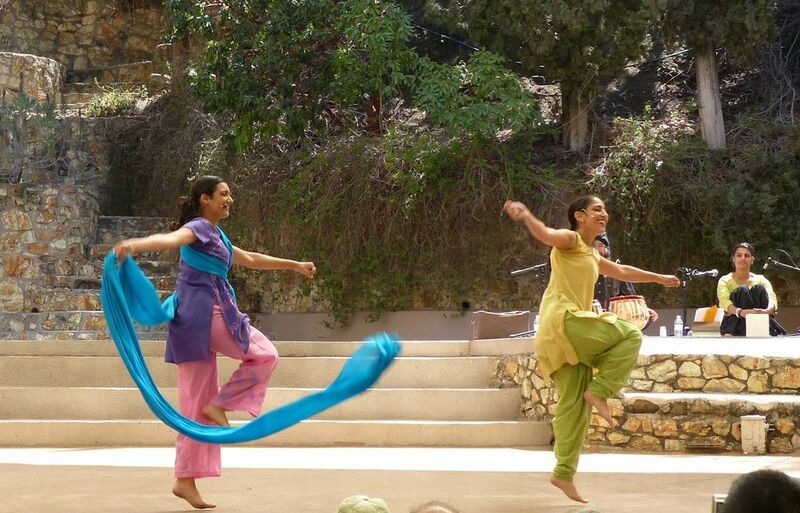 Dancing Storytellers performing at the Segerstrom Center! 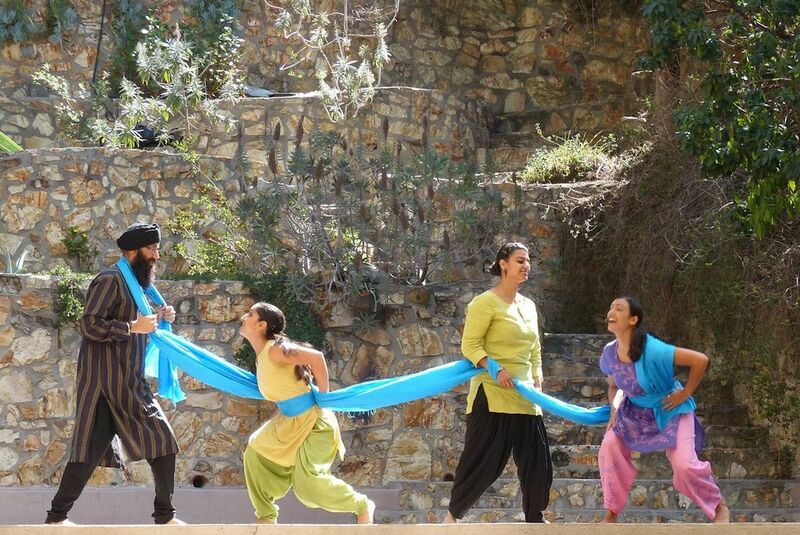 After a well received performance at KidWallah, part of the ArtWallah Festival, the Dancing Storytellers are rehearsing to present a newly improved excerpt of our show, “The ‘Summ’ of All Things” at the Segerstrom Center in September! If you missed it at Kidwallah, here’s your chance! If you saw, it spread the news and bring friends! 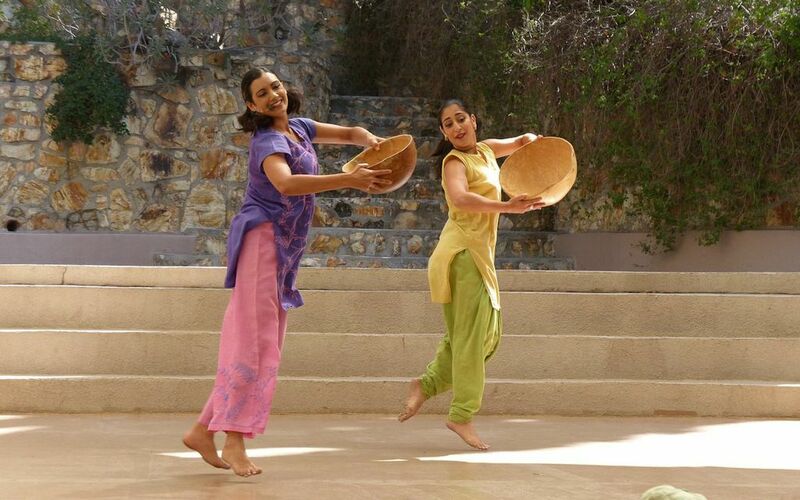 The “Summ” of All Things, illuminates cycles in nature through imaginative South Asian dance, music, and stories. 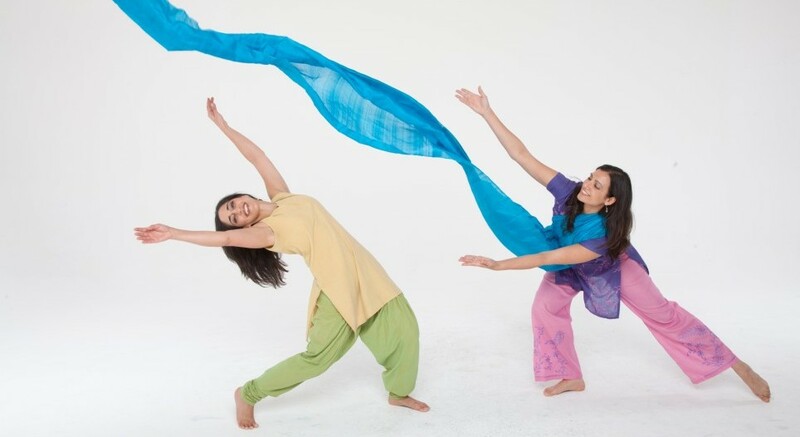 Audiences will delight in a Bhangra dance, which celebrates the harvest and contemporary Indian dance will unveil the trans-formative life of a butterfly. Created with support from Segerstrom Center for the Arts’ STEAM Integration Lab. 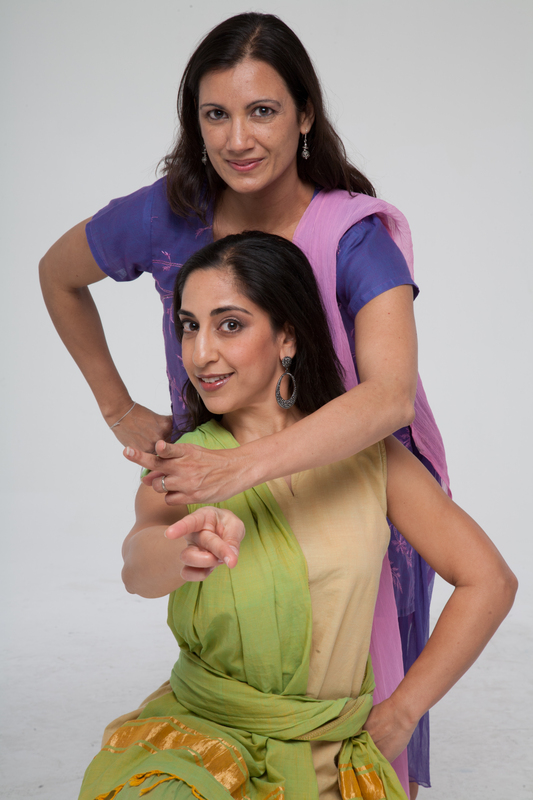 Now known as “Indian Mythology and Me” our show is represented on the Music Center on Tour Artist Roster and has undergone some upgrades, including this beautiful new backdrop by artist Khushboo Gulati (pictured below with the artist). 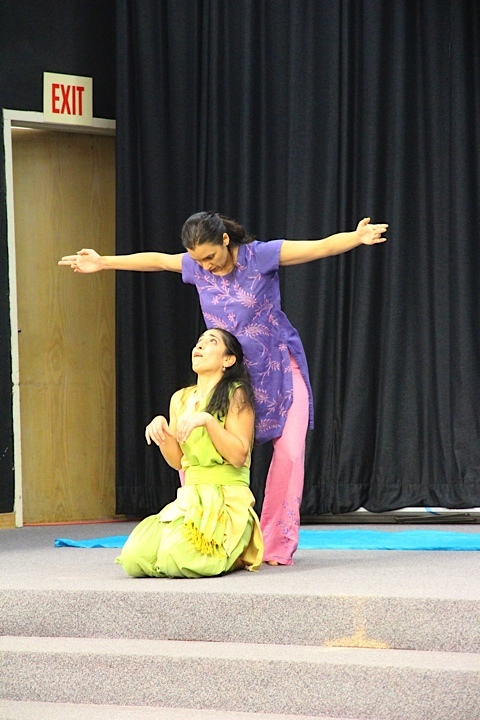 Also pictured is our newest member of Dancing Storytellers, Ulka Simone Mohanty! 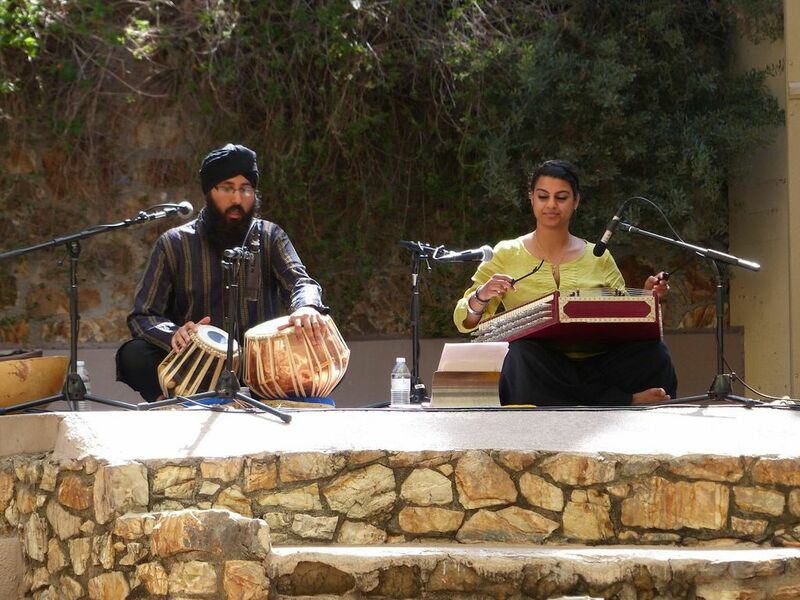 Ulka joined us in early 2017 when Sheetal was busy with wedding plans to perform the show while we continued to tour various schools across Southern CA. 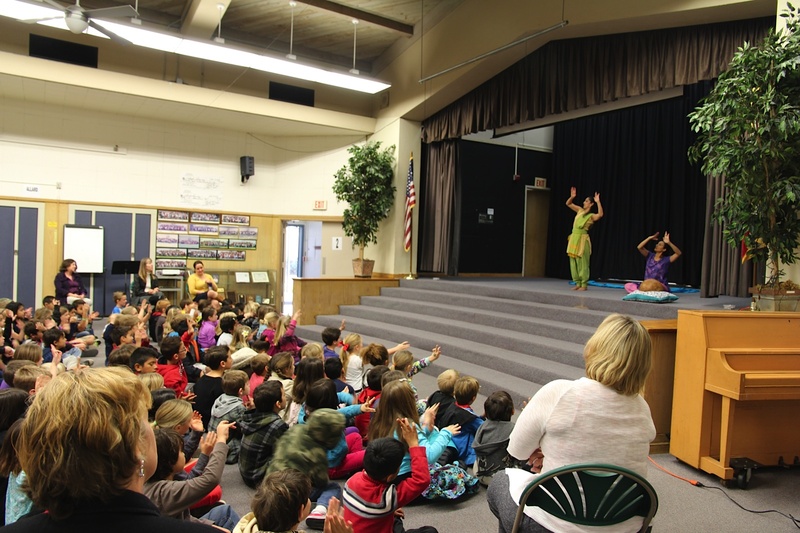 Ulka and Shyamala performed for over 2,000 kids in the 2016-17 school year. 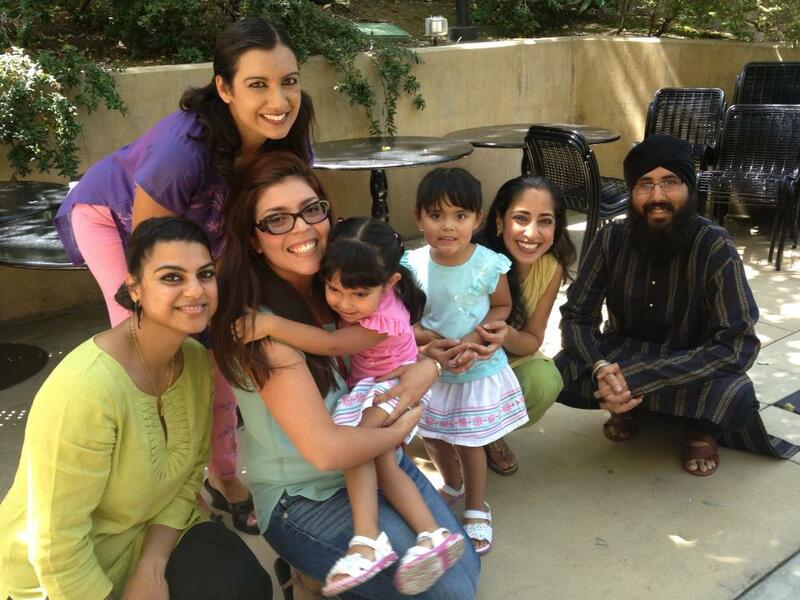 Stay tuned for more news on the Dancing Storytellers spreading peace in all things, everywhere! Breaking the notions of big and small, powerful and weak, this is a story that teaches us never to under estimate anyone based on what they look like. 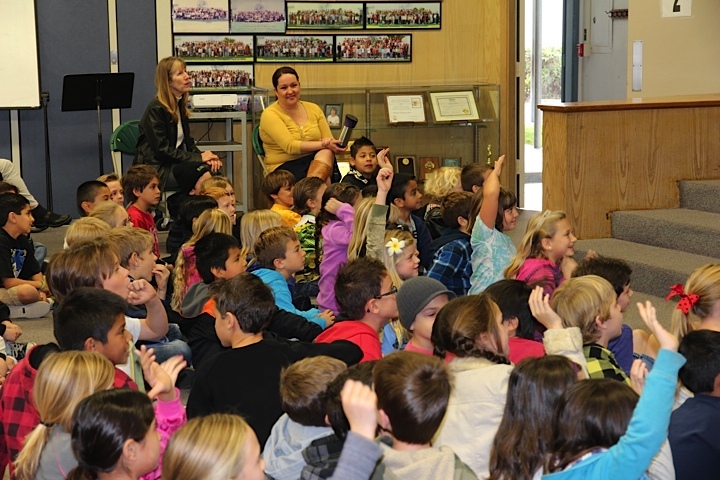 Here we are at Palisades Elementary, the big elephant towering over the little mouse…. Yesterday we had an open rehearsal of the new version of Stories…on the MOVE! 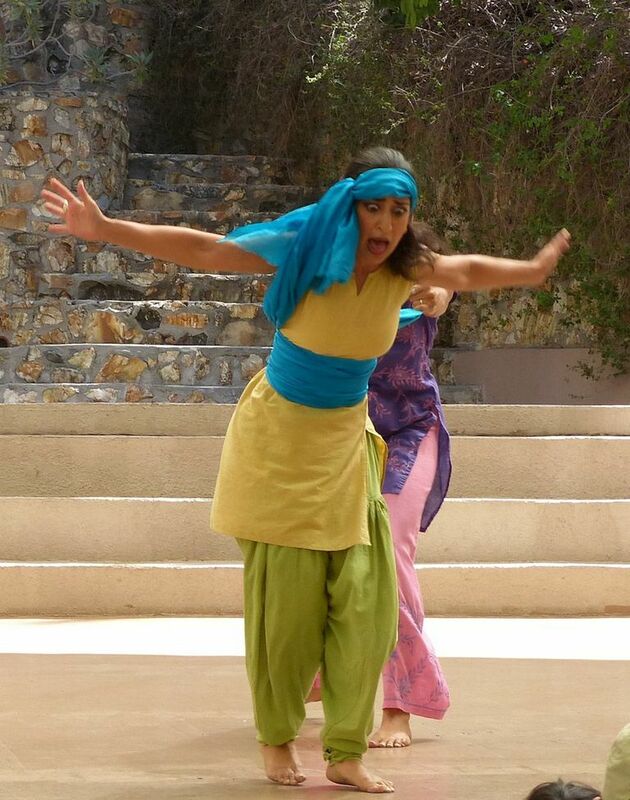 We were told by our colleagues that came to give us feedback that the show is “joyful” and “clever”! We hope you join us for the fun on July 27th at 10am at the Ford Amphitheater! Get tickets here. 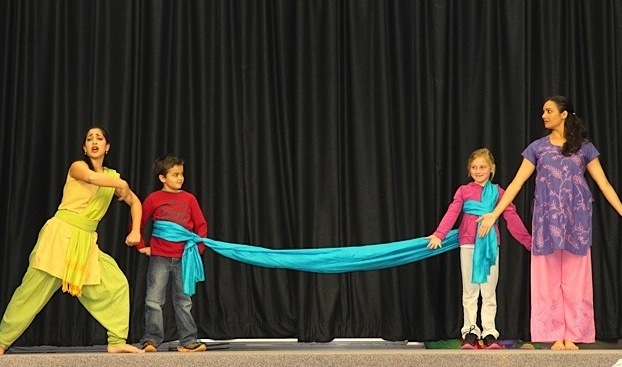 Meantime here’s some photos of some of the funnest parts of the show where we interact with the audiences, thanks to Gemina Gowdy who took photos at one of our performances at Palisades Elementary School. 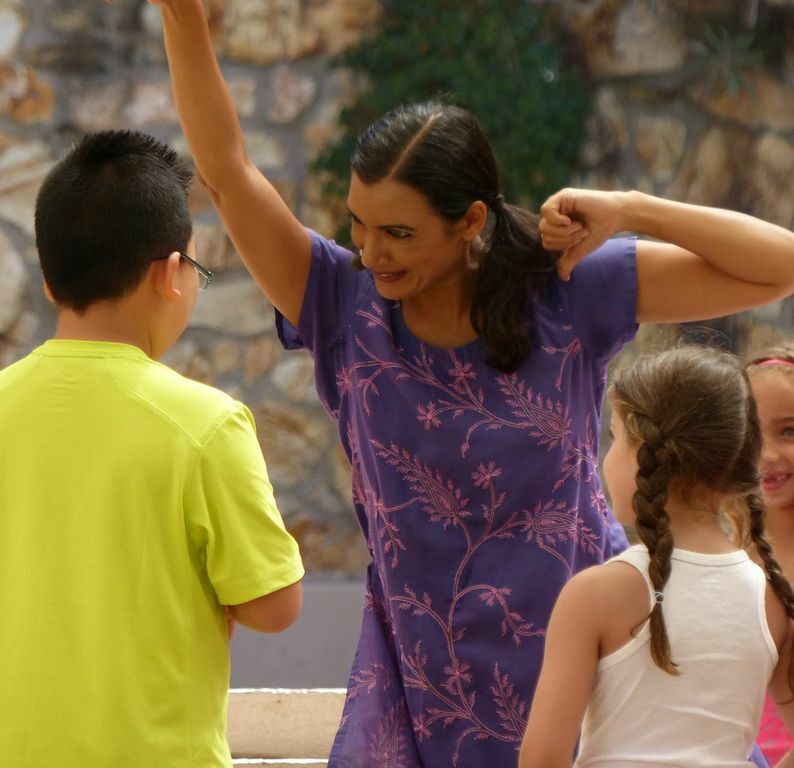 After we taught this poem to the kids, using hasta mudras (hand gestures) to tell a story, a kindergartener told us he thought the story was about how we’re all connected with our hearts! 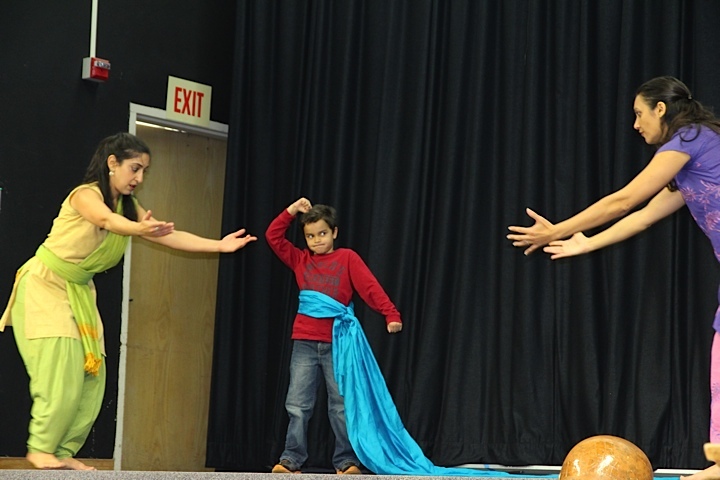 Here we’ve chosen a kid who was able to use abhinaya (expression) to show and angry demon king, Mahishasura. And now the courageous Durga has come to challenge Mahishasura’s repressive regime! Photo by Chris Emerick, courtesy of the Segerstrom Center for the Performing Arts.